I had long wanted to try acupuncture for asthma and other persistent health problems and when I had a consultation with New Realm Acupuncture I knew I wanted to work with him. It has been a pleasure having GAO and Jing care for me. I trust them completely! My asthma and general health has improved after many years of decline. I recommend them to family, friends and strangers alike. 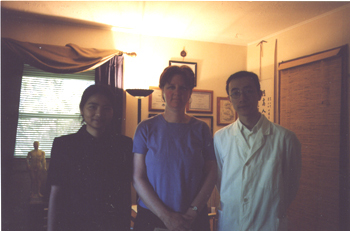 Thank you for your great care XuGuang and Jing GAO. I was diagnosed with asthma in Nov. 8 2004 after battering with bronchitis for several weeks. Immediately, I was told to keep a rescue inhale with me as well as use inhales steroids 2 times a day. I decided that I had to search for another way to heal my body instead of relying on conventional drugs. I read many articles on how acupuncture helps relieve symptoms of asthma. I decided to find a trustworthy doctor in the Columbus area. Luckily I encountered New Realm! After the initial treatment, I noticed a “difference”! After 1 month I have not reached for my inhale once! I will continue with this method of treatment as long as necessary!